The welfare of young people has been at the core of the work of Filipino Advocates for Justice since it opened its doors in 1973. Positive youth development is a top community priority. Filipino youth face an environment with growing violence, a lack of community-based support and after-school programs, shrinking employment opportunities and intergenerational tensions. In response, Filipino Advocates for Justice works with over 100 youth annually to build resiliency to risky behavior and foster positive decision making, healthier lifestyle, and completion of school through cultural grounding and appreciation for community service and leadership. FAJ’s in-school youth development programs currently run at Cesar Chavez and Itliong/Vera Cruz Middle Schools and James Logan High School in Union City provide prevention education and peer support to help young people develop healthy decision-making skills. 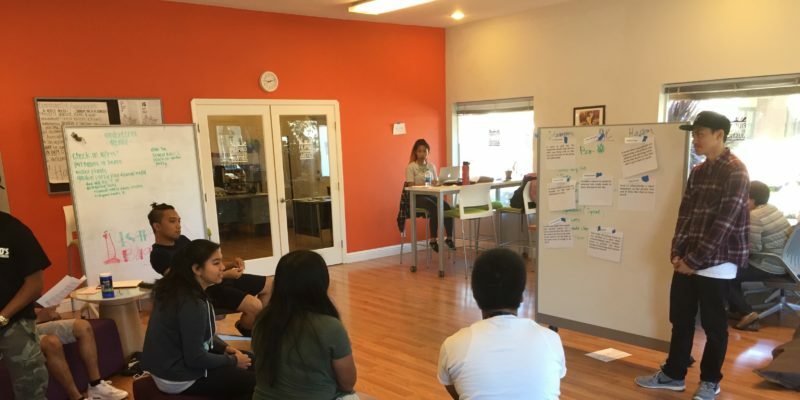 FAJ offers afterschool programs in Union City (Pilipino Youth Coalition) and Alameda (Bayanihan Youth Group) aimed at year-round youth-led leadership development, political education, and civic engagement. PYC and BYG are high school-based programs that offer a safe environment where youth develop a social justice identity, hone emerging leadership skills, and ultimately cope with the difficulties of being adolescents facing challenges around both their personal and family life. 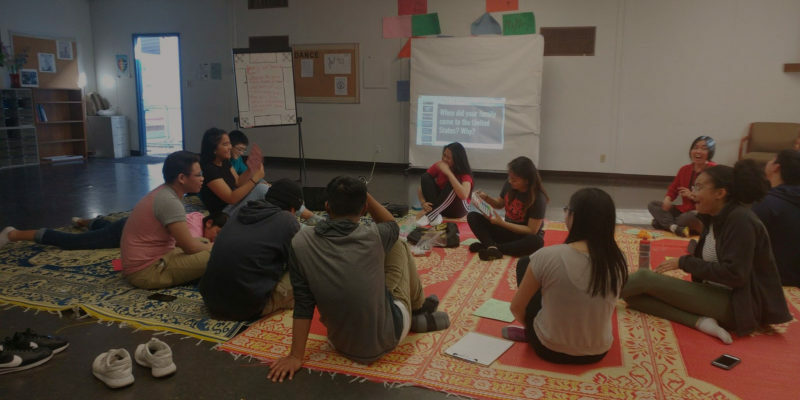 To better understand the dynamics of power and oppression, FAJ uses the Asian American Racial Justice Toolkit to engage youth on topics that range from dismantling gender norms and patriarchy to the legacy of racism in the US. 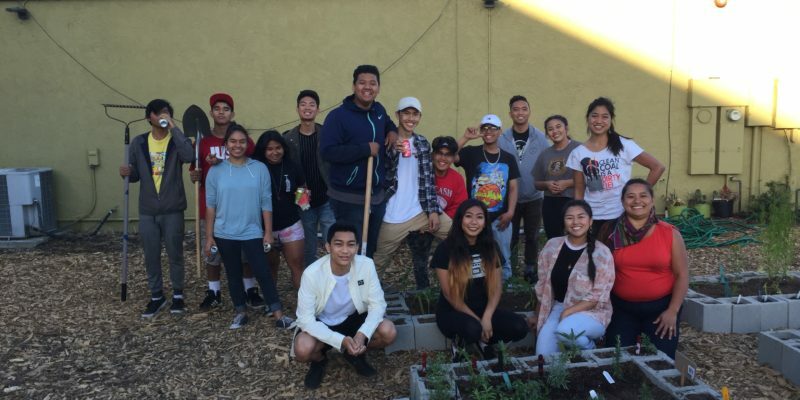 FAJ also collaborates with FACES (Filipino American Coalition for Environmental Solidarity) to provide youth the opportunity to receive an environmental justice grounding through a community garden experience. 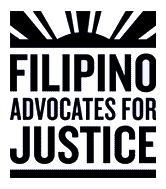 Filipino Advocates for Justice holds an 8-week summer internship program aimed at developing leadership while providing political education and community organizing training. Cohorts of 12-15 high-school and college-age from the Alameda/Oakland and Union City areas have an opportunity to work on current FAJ campaigns and activities such as voter registration drives, neighborhood canvassing/phone banking, community outreach and work on the community garden. Today, dedicated volunteers who organize monthly garden parties maintain the garden. We invite you to drop by and join a future work event! The $5000 Soledad Fernandez Scholarship is endowed by the Cora and Pablo Tellez family who were inspired by Soledad Fernandez’s “zest for life and love for her family” among other qualities. Soledad provided loving care for Cora and Pablo’s infant son for which the Tellez family is eternally grateful. Tita was 74 years old when they met her. Soledad “Tita” came to America after World War II with three young children. She was joining her husband who preceded her to the United States. Her excitement at finally joining her husband and starting a new life together was short-lived. A month after her arrival her husband died making her the sole breadwinner for her family. While college-educated with a degree in teaching, Tita was unable to find work as a teacher. She worked as a cafeteria worker at Treasure Island. There, she worked hard, made many friends, and with her earnings, managed to buy a house and send all three children to college.Tita was not one to dwell on her personal sacrifices or hardships. Her gentle smile said it all – perseverance can transcend whatever hardships life presents. Her faith in herself and the universe made her a pillar of strength for her family and her friends.